Great artists don’t reproduce history, they interpret it. 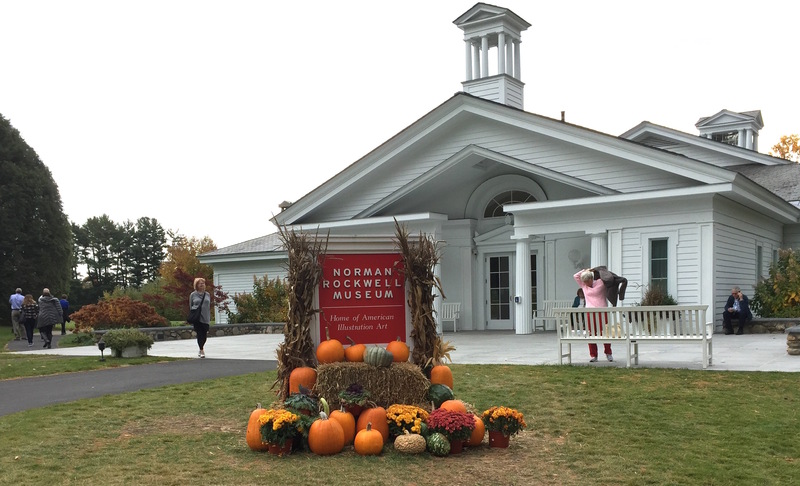 Earlier this week I went out to Stockbridge, Massachusetts to the museum dedicated to illustrator, Norman Rockwell. I’ve said since my art school days that the major diff. between a fine artist and an illustrator was that the latter has to tell a story and convey information. A fine artist in the modern era does not have to. Rockwell’s art from his early Saturday Evening News covers to the Four Freedoms to the civil rights and UN paintings always told stories. His work may now viewed as kitschy or dated, but it has an emotional timelessness. In fact, the New York Times mentions the upcoming sale of his “Which One? (Undecided; Man in Voting Booth)” in relation to the election. I came away from Rockwell thinking that if he were alive today, he would have loved the multi-cultural world that’s coming. He’d have taken the complicated narrative of the 2016 presidential politics and provided one, maybe two, paintings that would sum today’s Presidential politics up in all its terrible glory. Like journalists, illustrators speak to the masses. 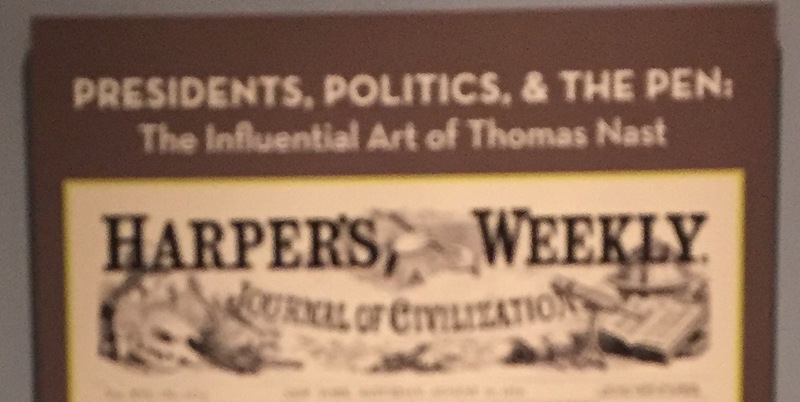 Along with Rockwell’s paintings, the Museum had a show of Thomas Nast’s political cartoons which helped bring down NY’s corrupt Tammany Hall in an exhibit, Presidents, Politics & the Pen. The cartoons show the timeless elements of politics and elections: corruption and greed. Politics have invaded too much of our lives this year. We’ve been privy to wicker cage fights in the primaries, the Thunderdomes of the national debates. Every day someone whips off the sheets to reveal some other political item to feed or, that feeds the open mouths of voracious readers. It’s like watching the lions be served new victims in Rome’s Colosseum on a daily basis although it’s a toss-up who are the lions are each day. With the Internet we are bombarded endlessly with information, with visual, with video, with immediacy. Each piece of information has the same weight of importance as the piece of drivel before it. It’s a flow of endless visual and written graffiti full of daily crap. Both Norman Rockwell and Thomas Nast were storytellers. Their works have a clarity that tells a reader what they are saying without having a caption. This entry was posted in 2016, Journalism, Uncategorized and tagged illustration, Norman Rockwell, Presidential Politics, Thomas Nast. Bookmark the permalink.